Birds Nest aquifer outcrop along the White River, eastern Uinta Basin, Utah. Saline water disposal is one of the most pressing issues with regard to increasing crude oil and natural gas production in the Uinta Basin of northeastern Utah. Conventional oil fields in the basin provide 67 percent of Utah’s total crude oil production and 70 percent of Utah’s total natural gas, the latter of which has increased 60 percent in the past 10 years. Along with hydrocarbons, wells in the Uinta Basin produce significant amounts of salty water—nearly 4 million barrels of saline water per month in Uintah County and nearly 2 million barrels per month in Duchesne County. As hydrocarbon production increases, so does saline water production, creating an increased need for economic and environmentally responsible disposal plans. Current water disposal wells—wells specifically used to re-inject saline water underground—are near capacity, and permitting for new wells is being delayed because of a lack of technical data regarding potential disposal aquifers and questions concerning contamination of freshwater sources. Many companies are reluctantly resorting to evaporation ponds as a short-term solution, but these ponds have limited capacity, are prone to leakage, and pose potential risks to birds and other wildlife. Many Uinta Basin operators claim that oil and natural gas production cannot reach its full potential until a suitable, long-term saline water disposal solution is determined. Part 1: Regulators currently stipulate that saline water must be disposed of into aquifers that already contain moderately saline water (water that averages at least 10,000 parts per million total dissolved solids). These underground zones are currently determined using 25-year-old data complied on a less-than-useful paper map. The UGS plans to re-map this moderately saline water boundary in the subsurface using a combination of actual water chemistry data collected from various sources and by analyzing geophysical well logs. By re-mapping the base of the moderately saline aquifer using more robust data and more sophisticated computerbased mapping techniques, regulators will have the information needed to more expeditiously grant water disposal permits while still protecting freshwater resources. 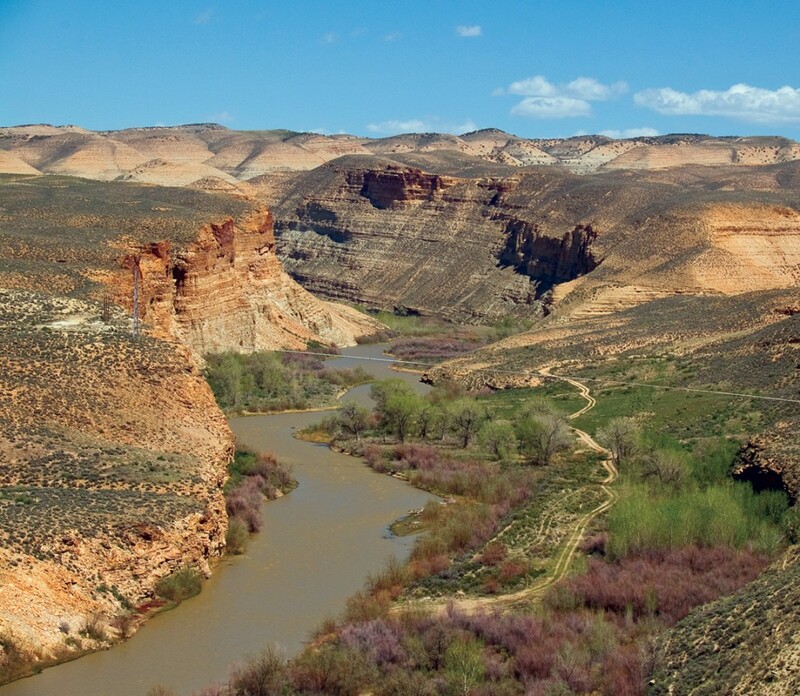 Part 2: Eastern Uinta Basin gas producers have identified the Birds Nest aquifer, located in the Parachute Creek Member of the Green River Formation, as the most promising reservoir suitable for large-volume saline water disposal. 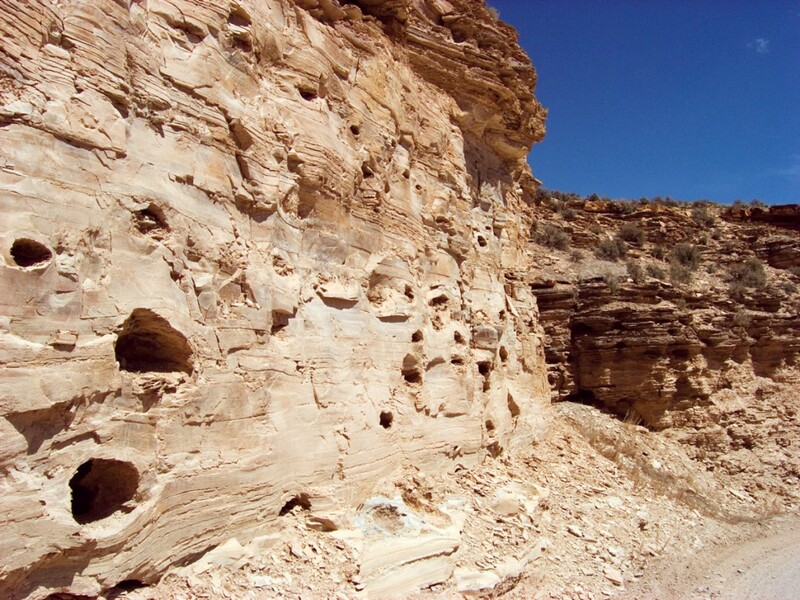 This aquifer, ranging in thickness from less than 100 feet on the basin margins to greater than 300 feet in the basin’s center, formed from the dissolution of saline minerals which left behind large open cavities and fractured rock. Understanding the aquifer’s areal extent, thickness, water chemistry, and zones of differential dissolution will help determine possible saline water disposal volumes and safe disposal practices, both of which could directly impact the success of increased hydrocarbon production in the region. Part 3: The UGS has determined a regulatory need for baseline water quality and quantity data for lands identified in the eastern Uinta Basin as having oil shale development potential. Water-quality degradation could result from new oil shale developments via mining and surface retort or in-place processes. The UGS has identified 17 sites in the area, including wells, springs, and streams, that will be sampled and analyzed on a bi-annual basis. This information will provide a baseline water quality profile, which can be used to compare with future data after petroleum development begins. Glad You Asked: How many islands are in Great Salt Lake?